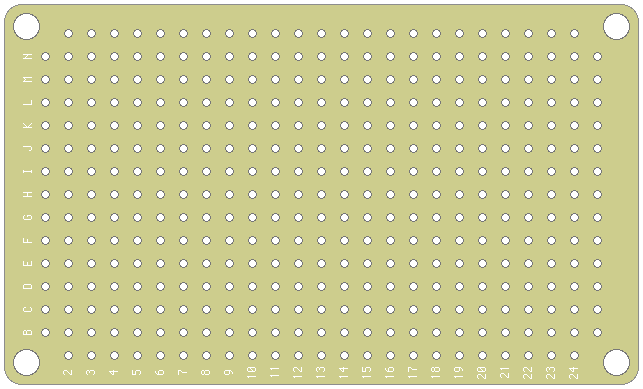 Please include a link to runoffgroove.com when posting perfboard layouts based on these templates. The below template matches the 213-hole small Small Bear Electronics product and half of RadioShack part number 276-148. The below template matches the 371-hole medium Small Bear Electronics product and RadioShack part number 276-149. 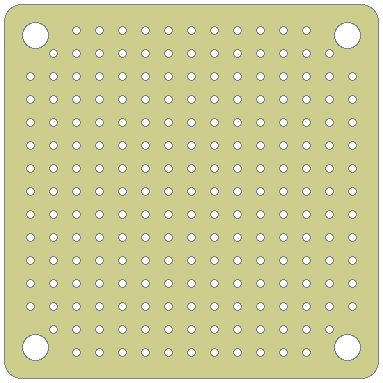 The below template is for the 417-hole RadioShack "Grid-Style PC Board," part number 276-150. 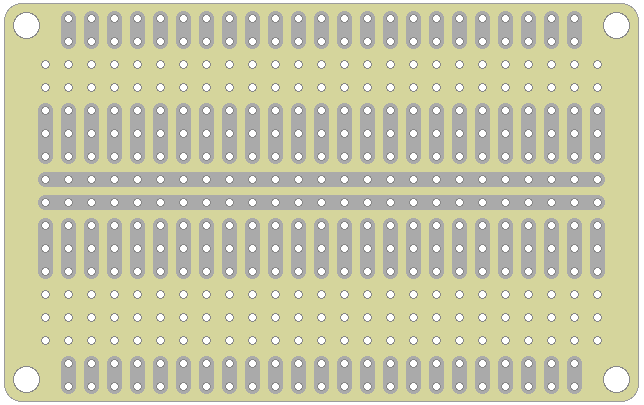 Perfboard templates by runoffgroove.com is licensed under a Creative Commons Attribution-NonCommercial-ShareAlike 3.0 Unported License.